Big Question: How does the government protect its people during war, yet still preserve civil liberties? What do you get when you combine a Pearl Harbor newspaper clipping , a WWII Dr. Suess cartoon , a rap about the internment camp experience and the heartrending children’s story Flowers from Mariko? Answer- A REALLY Big Question: How does the government protect its people during war, yet still preserve civil liberties? High School history teacher Julie Dickinson designed this introductory lesson as a student in the summer 2017 online course Socrates in the Social Studies. 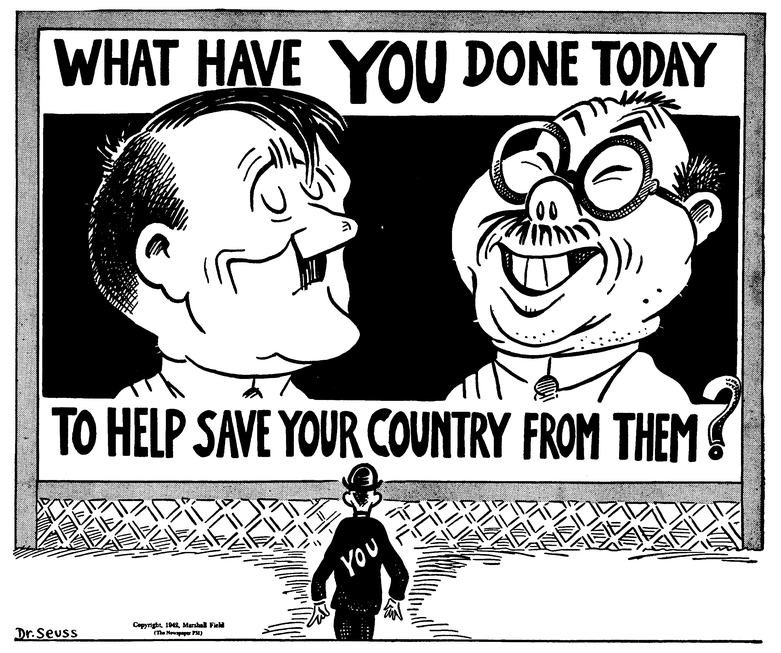 What I like about her lesson is that she uses the clipping and the cartoon to look at World War II from the perspective of the United States. Then, using the rap and children’s story, she shows how the Japanese viewed the war through the harrowing experiences during and after internment. Juxtaposing these perspectives in this way creates fertile ground to sprout a Big Question at the end of the lesson. It is interesting that Julie chose to end the lesson with the Big Question, as opposed to starting with it. By doing it this way, not only do I think she’s succeeded in creating a sense of anticipation for the students, but she also established a fixed anchor for future lessons. For example, the events of the McCarthy Era and Trump’s failed travel ban have deep within them the same tension between government power and individual liberty and therefore could be analyzed later using this same Big Question as a guide. Julie’s question would be a wonderful addition to the list of US history or government questions on which one could organize an entire course. Do you use a similar question to explore the relationship between government power and civil liberties? If so, what is it? Check another one of Julie’s Big Question lessons in a previous post: How can you protect your freedoms without limiting someone else’s? 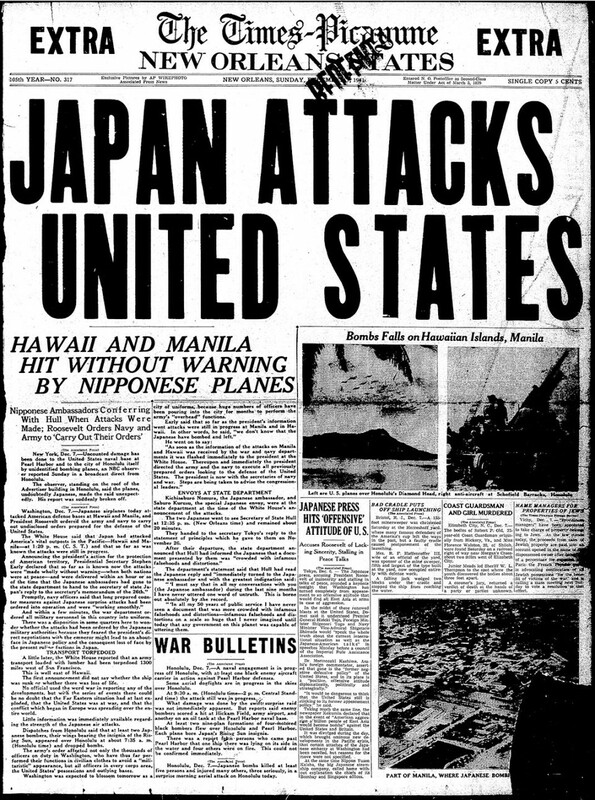 This entry was posted in Big Question Lesson Artifacts and tagged big question, civil liberties, Japanese internment, Japanese perspective, Pearl Harbor lesson, wartime civil liberties, World War II on December 28, 2017 by Dan Fouts.